My dining companion and I were at The Star Vista on a weekday and it was time for dinner. Having tried Bornga and Wrap & Roll, we settled on Gan Yakitori – an izakaya that uses bincho charcoal that supposedly produces a full flavour in the grilled food without destroying its proteins. Located on the 2nd floor, it is one of the many Japanese restaurants in this shopping mall that has seen many shops come and go since it opened a few years ago. 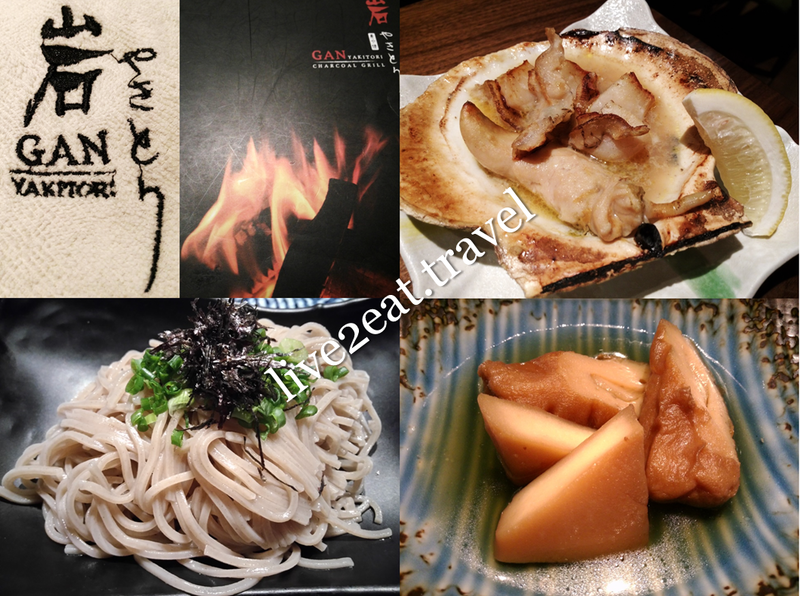 Could neither rave about the grilled scallop and cold soba nor fault its fishcakes from the oden menu. 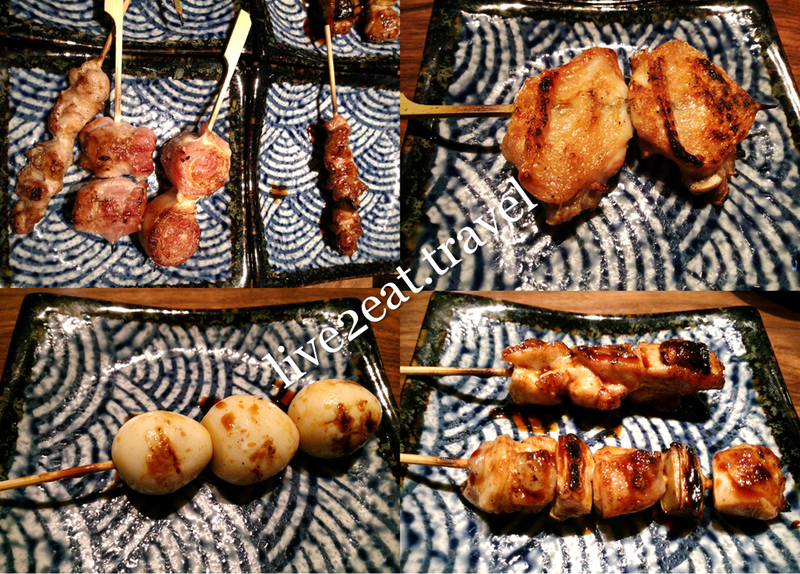 All the yakitori items we ordered were well-seasoned and grilled nicely such as the hard-to-go-wrong tomato or asparagus bacon maki and mid-joint wing, which was crisp on the outside and moist inside. For some of the items like chicken with leek and quail egg, you can choose whether to have them with sauce or salt. Oh, and its extensive offerings extends beyond food to include a wide variety of alcoholic drinks too. Kanpai! Itadakimasu.